AVERAGE WATER TEMP: 81°F WHAT TO WEAR: Generally a 1.6 or 3mm shorty will be sufficient. AVERAGE VIZ: 100+ feet WHEN TO GO: Year-round; May-December is the off season. 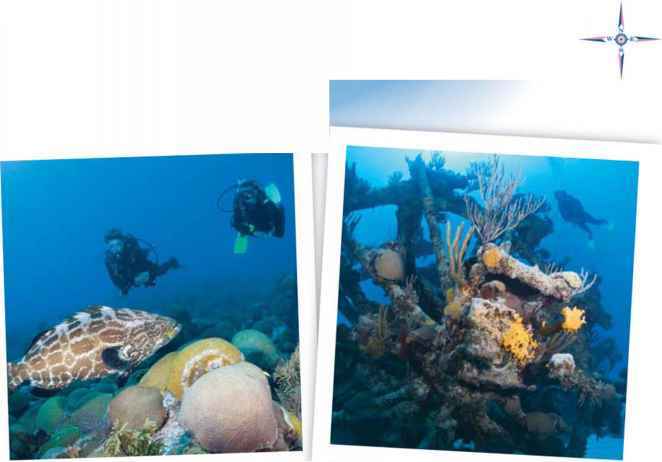 WHAT TO EXPECT: Your first dive will be a buoyancy check to protect corals in the marine park. This is shore-diving paradise. LANGUAGE: Technically Dutch, actually Papiamentu, and most locals speak English. TAXES: 5% on most goods and services; room tax is $5.50-$6.50 per day. ELECTRICITY: 127V; may vary locally. TIME ZONE: Atlantic Standard Time (Eastern Standard Time plus one hour). side boulders) make on-your-own adventuring a snap, and many operators have 24-hour, drive-through air-fill stations to keep things as effortless as possible. 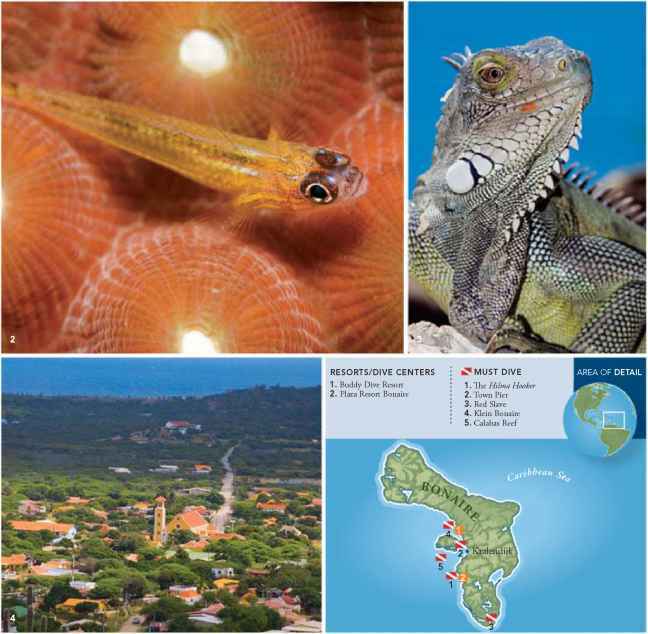 All of the waters of Bonaire and its satellite island, Klein Bonaire, enjoy the protection of one of the longest-standing and most well-run marine parks in the world. And this is truly a something-for-everyone place, with dive sites that range from the deep and technical Windjammer wreck to Town Pier, a shallow-water shore dive that is probably the world's most famous spot for macro photography. The license plates here read "DIVERS PARADISE." And after one visit, most divers will agree.